There’s a building I pass fairly frequently on my A40 route into north London. 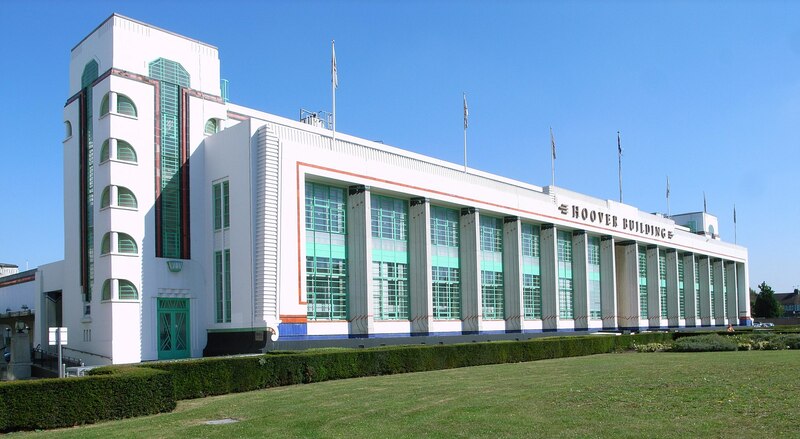 Called the Hoover Building and according to the sign outside, currently occupied by Tesco*, it stands out among the grey, bland and unoriginal shapes on the side of the roads I travel along. The building is Art Deco, and painted in white with turquoise and red accents looks to be something more fitting in Miami than Perivale. Originally purposed as a factory for Hoover to make vacuums in the 1930s, it must have been an incredible sight being surrounded by red brick and concrete buildings. It always catches my eye when I’m trundling along at little over 10mph. And as it was this morning, sitting in traffic and thinking about this, I was reminded of the photo that sits at the top of this post. I don’t know who took that photo, I don’t know what it’s about and nor do I really care. What made me think more was the link I made between a seemingly random building and a seemingly random photo. This isn’t about architecture. 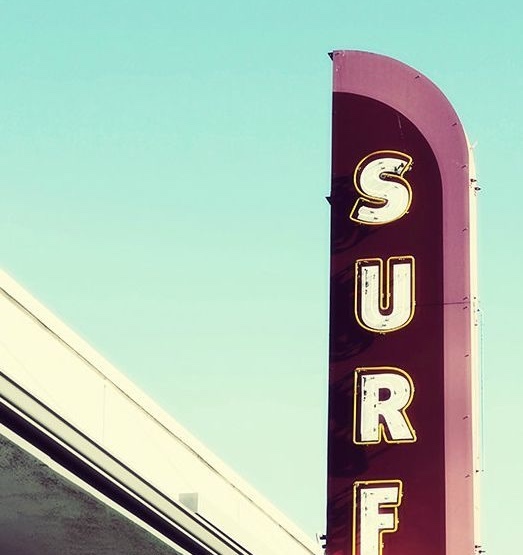 This isn’t about surfing. I think it might be about random thoughts. Let’s call it inspiration and leave it there. *There is a Tesco sign outside, indicating it is used as office space, but according to the Wikipedia entry, the site is being redeveloped into apartments. **Ahh, there is a Tesco store at the rear of the Hoover Building, built in the same style. I think. ***I think it was the red and turquoise that made me think the way I did this morning. There’s a building I pass fairly frequently on my A40 route into north London. There’s a building I pass on my fairly frequent trips along the A40 route into north London.